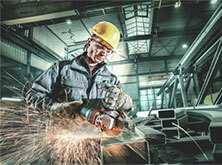 All details from our personnel section can also be found on our Metabo career Facebook page. Professionals worldwide bank on the Metabo brand - this is the achievement of our 1,900 employees in more than 120 countries. Being a medium-sized company rooted in the Swabian region, innovative strength, competence and a down-to-earth attitude are part of our strengths from the beginning. Become part of our traditional company and contribute your passion towards the fact that Metabo products meet the requirements of our customers with the highest quality and reliability. Together we develop, produce and sell first-class power tools and accessories for professionals in the metal trade, in the metal industry and the construction trade and renovation sector. We trust in our committed and motivated employees, who embark on new paths with us and make Metabo a dynamic and open company. Every day at our headquarters in Nürtingen, more than 1,100 employees fulfil our values - courage, passion, dynamics and trust - with life. Being a technology leader in the future market of battery packs, we offer our employees the possibility to actively participate in the design of the future working environments of professionals in trade and industry. If the care of our users is important to you and you have personal initiative and courage, you are in the right place with Metabo. Being an innovative premium manufacturer, we cherish your pioneering ideas, visions and approaches - naturally we provide you with the freedom and support required to do your work. We support and demand the courage to contribute your ideas at any time and be ready for discussions. Together we push ahead with our products, make use of new opportunities and challenges and enjoy the success of our projects. Our employees enjoy flat hierarchical structures, short decision paths and our working atmosphere, all of which is characterised by respect and openness. We offer school leavers, students, university graduates and experienced professionals exciting and varied tasks, a performance-focused remuneration as well as attractive qualification and further development possibilities. 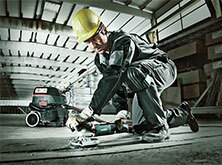 Convince yourself and apply with Metabo!